Click the thumbnail for the pic. It's the ones geared towards kids though, the ones with some kind of character specific gimmick. 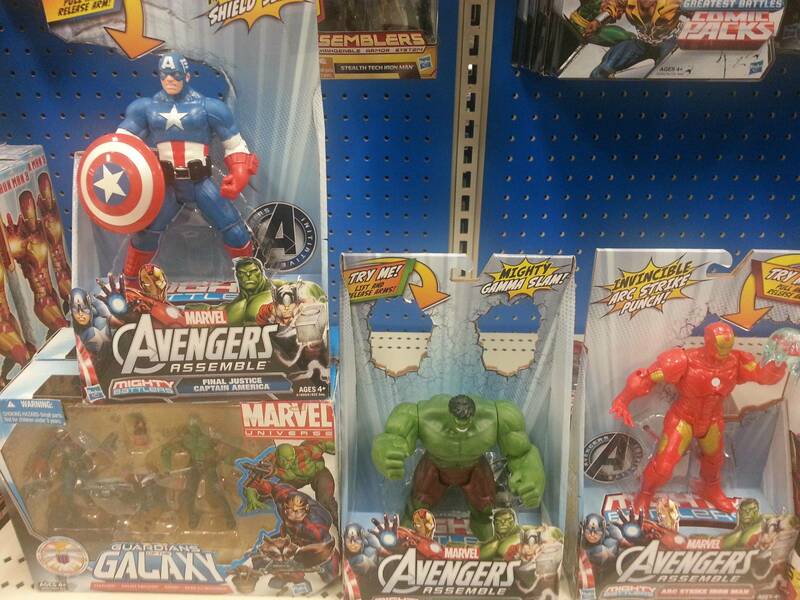 Iron Man had this uppercut action, Cap had a shield hook punch action, and Hulk has his typical smashing gimmick. Im interested in the 4" ones, but that cap looks alright if it was a low priced statue. Hopefully this is a good sign that the 4" versions will be showing up soon. I will say that my daughters will have fun playing with these while we're shopping for other things in the store. C'mon 4 inchers, I needs me a Leader and new Hulk. These have appeared at Toys R Us too, saw some yesterday. I was looking for the 4" figures but no dice. The 4" ones shown at Toy Fair seemed mostly kiddified but there are some gems sprinkled throughout. Sweet, hopefully this means the 3.75" figures show up soon. Just what I need: another line to collect. The Mighty Battlers are usually pretty fun. Simple and no articulation but that Cap looks nice. I saw these too on Monday at the local Target. 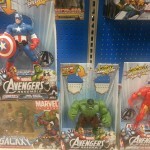 I saw a Wolverine along with Captain America and Iron Man at TRU yesterday, too.